Day 563 OUT OF Beijing: Greece Comes to San Francisco! Our first drink at Palia Kameni. 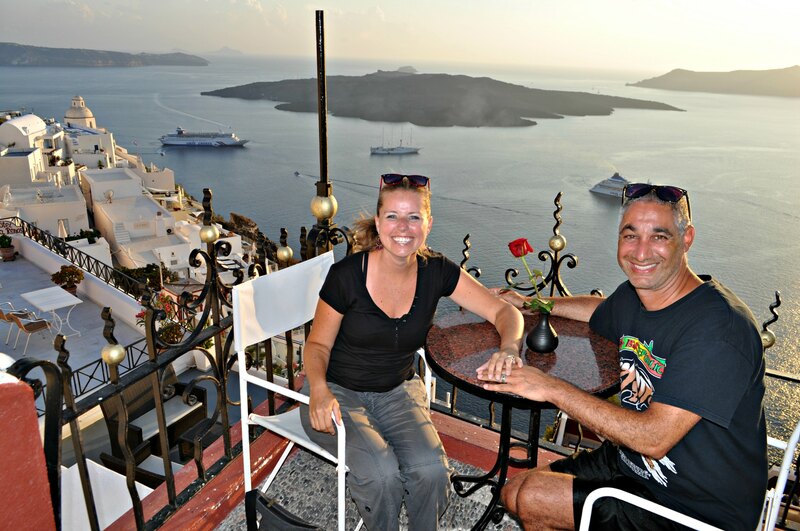 Jill and I spent a few nights in little town of Fira on the island of Santorini, Greece after we got engaged. 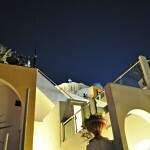 We had been to Mykonos, Naxos and Paros and were worried Santorini would be too crowded and expensive. Imagine our surprise when it was actually about the same price as the lesser known islands and not crowded at all. We walked around Fira and found this amazing bar named Palia Kameni Cocktail Bar. 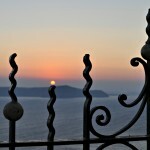 It was facing towards the caldera and where the sun would set later that night. We decided to sit down, have a drink and hang out. One of the waiters, from the UK, talked to us for a bit and seemed like a nice guy. After our drinks came, the owner, Vassilias came up to talk to us as the waiter told him we had just come from China and were engaged. We talked for about 1-2 hours and discussed how he came to own this bar at such a young age (he was 28 years old), how to live the life we want to live, and how to achieve financial freedom as soon as possible to be able to travel and see the world. Vassilias told us that he took the bar over from his dad and he is slowly making changes. One of the changes was to pay his staff enough that he, and they, could shut down for the 6 month winter break, and be able to live without fear of running out of money. 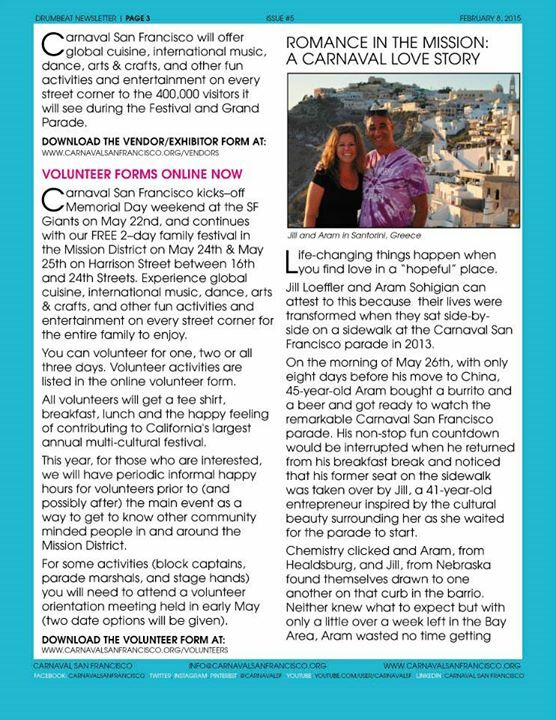 For Vassilias, that also includes going to visit his girlfriend, Soneth, who is a speech therapist in San Francisco and Los Angeles this winter. We told him that we will be back in SF and wanted to meet up with him. He agreed and we came back the next night to watch the sunset again. We just got back to SF on December 15th and Vassilias told us he was leaving on the 20th for LA and we decided to meet up at the Squat and Gobble in the Castro Area. We had a wonderful time talking and figuring out future plans and how we can support each other as he builds his business and we build ours. It is everything we love about owning our own business, being able to travel, and living a life that is less structured and more independent. It is not for everyone, but there is no way we want to live any other way, at least not at this point in our lives. 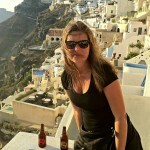 I’ve include pictures taken from his restaurant in Fira. 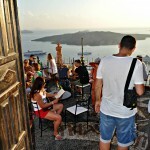 If you ever go to Santorini, please say hello to him and enjoy the sunset from there. It is life changing. The entrance to Palia Kameni. The view as we entered Palia Kameni. 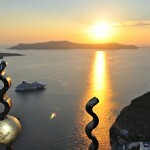 A cruise ship going out in the caldera to let passengers watch the sunset. The sun tops the fence at Palia Kameni Cocktail bar. Jill looking windswept and gorgeous. A church across the road from Palia Kameni. 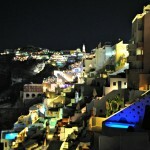 The view from Palia Kameni at night. Jill, Vassilias and me cheering our joyful lives in San Francisco’s Squat and Gobble. Day 404 in Beijing: And We Are Out Of Here! A beautiful view of the mosques in Istanbul. I hope you enjoy the next week or so of blog posts because I won’t be able to update them much since Jill and I will be in Turkey and Greece. We leave today and return on August 15th so we will be gone for exactly one month. We have been in China, non-stop, for 7 months and are extremely excited to get away and have some peace and quiet. Istanbul will be busy but we will be hanging out with friends, and some family, and just enjoying it for the first week. Trust me, compared to Beijing, nothing is busy and anywhere is quiet. Jill has been to Turkey three times and I’ve been there once so we have some familiarity with it and the people. 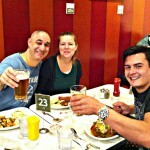 We have always loved going there and meeting with people who are very open and friendly. We will start, and end, our trip in Istanbul. We are going to go to Cappadocia and do a balloon ride through the Fairy Chimneys. Then to Pammakule to see the perfect blue waters and natural white thermal pools. We are also going to other parts of Turkey but those are the highlights. 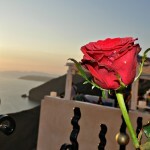 We will then go to four different islands in Greece including Naxos, Paros, Santorini and Mykonos. 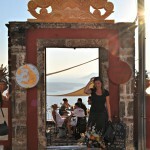 We will spend about 3 days on each island and Jill will be able to celebrate her 41st birthday on Naxos. 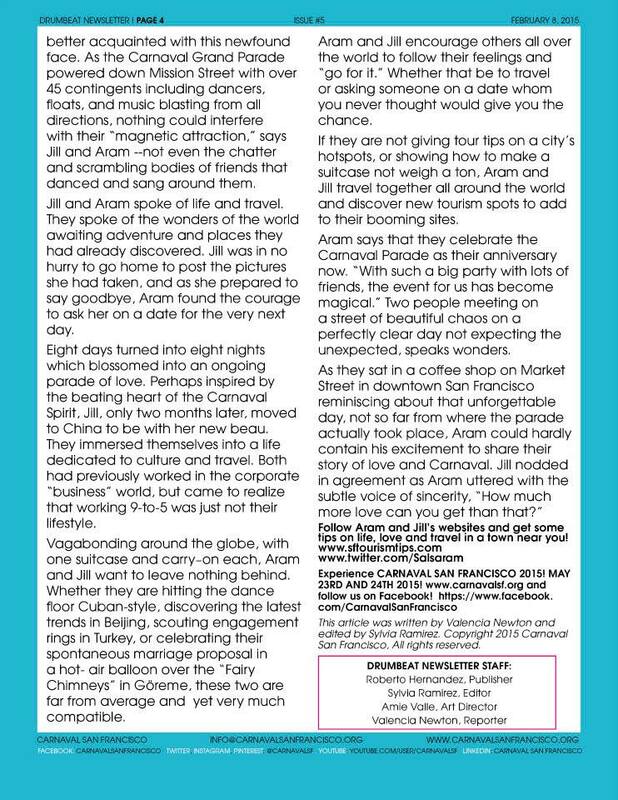 Last year she celebrated in China and we think this is a very nice way to celebrate Jill. Who knows where we will celebrate her birthday next year? The world is our oyster! We will head of Athens for two days and see the sites and then head back to Istanbul to finish off our trip and grab our flight back to Beijing on the 15th of August. I’ll do my best to post a few pictures of our travels and hope you enjoy them. I’ll be doing more full blog posts when I get back to Beijing and have time to sort through everything and figure out what I want to write about regarding our trip. Here are a few pictures from Jill’s past visits to give you an idea of what we will be seeing and doing when we arrive in Istanbul.